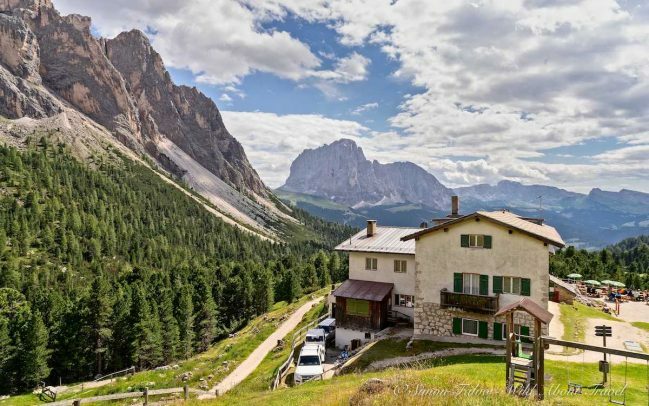 There are so many beautiful places to spend holidays in the Dolomites that choosing an area is a challenge. 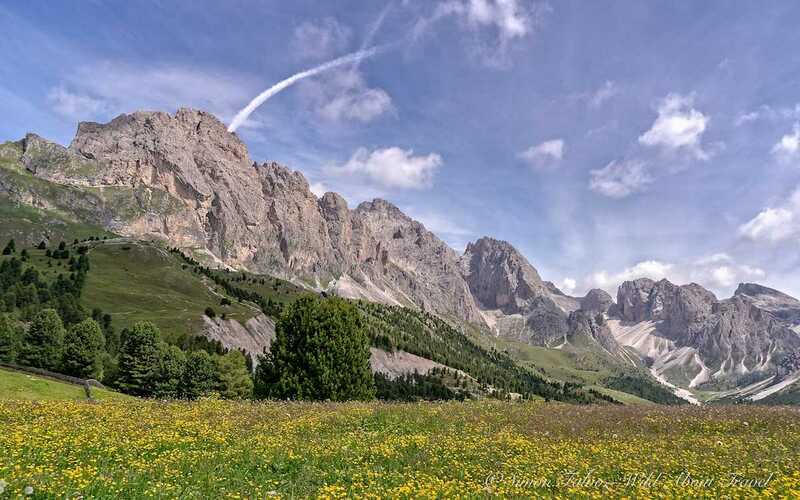 I’ve been to the Dolomites on several occasions, trying every time to discover new spots, and there are still many areas that I haven’t explored yet. I don’t know about you, but when I have to choose a destination or to get a better idea of a given region, Images are my driver. Photography is the first step, and then I go more in-depth. 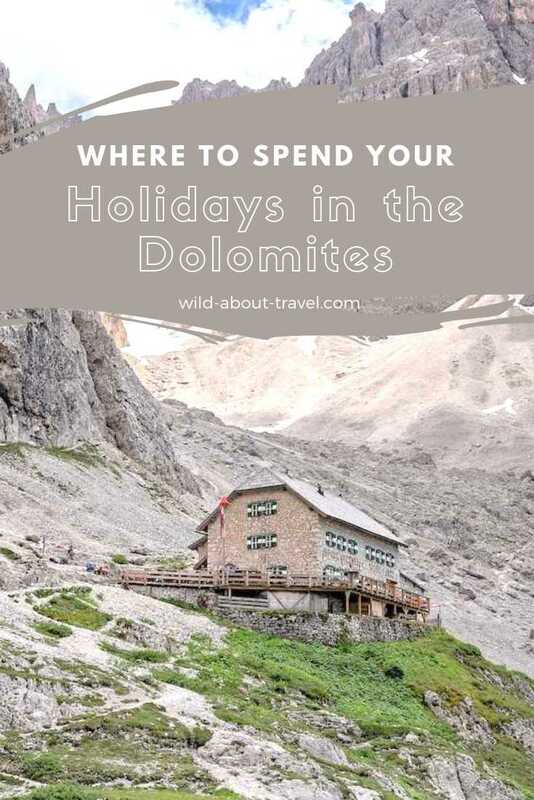 If you wonder what to do in the Dolomites, the answer is a lot! 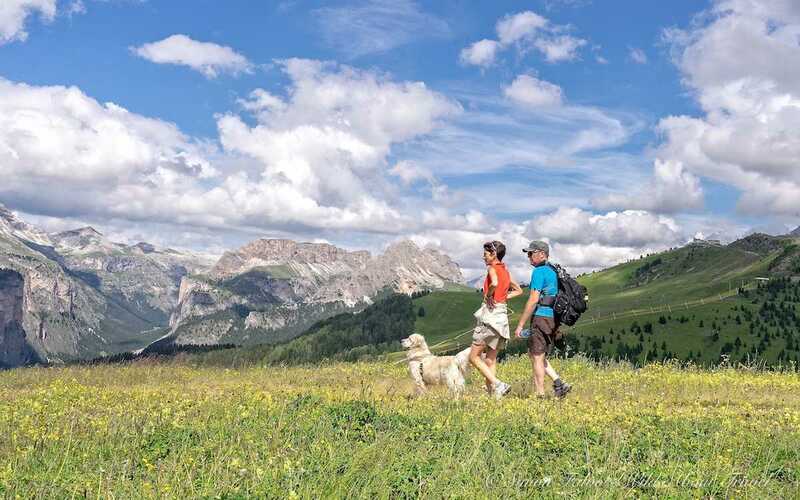 Hiking, climbing, mountain biking, paragliding, skiing, and many more activities for unforgettable active holidays. 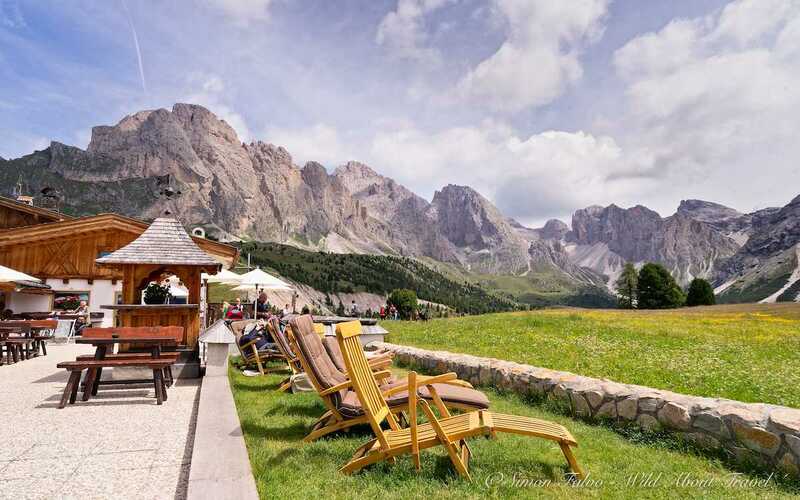 Holidays in the Dolomites also mean a lot of pampering at one of the many wellness hotels, excellent food, and lovely towns perfect for a romantic getaway. Although I love skiing, I am even more passionate about hiking and mostly go to the Dolomites sometime from late Spring to early Autumn. I’m a solo hiker, and I like being able to hike on trails of medium difficulty. I know that there are many mountain huts along the way and that makes me feels safer. 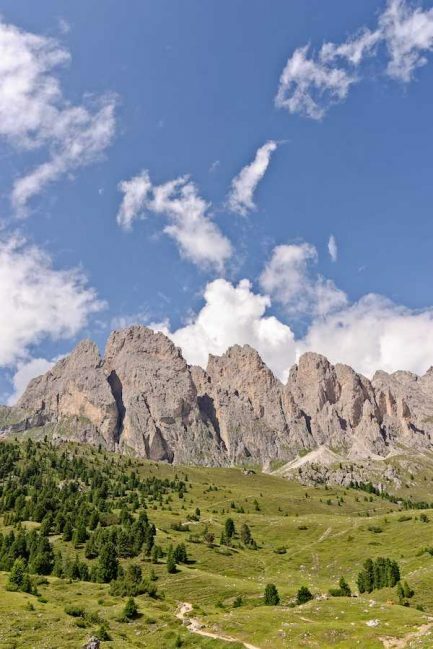 Traveling in the Dolomites without a car is relatively easy thanks to regular bus service, and this allowed me over time to discover new areas. 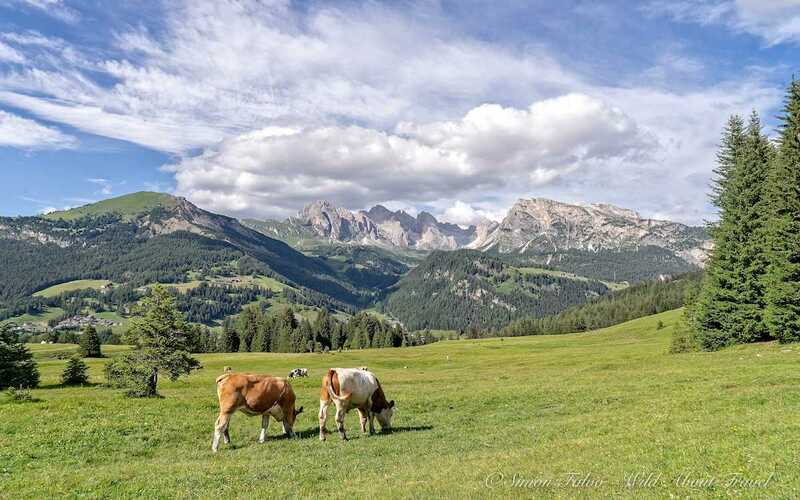 Emerald green meadows, colorful wildflowers, and on the horizon the Sciliar, Saas Long (Sasso Lungo), and Plattkofel (Sasso Piatto): every time Seiser Alm (Alpe di Siusi) takes my breath away. 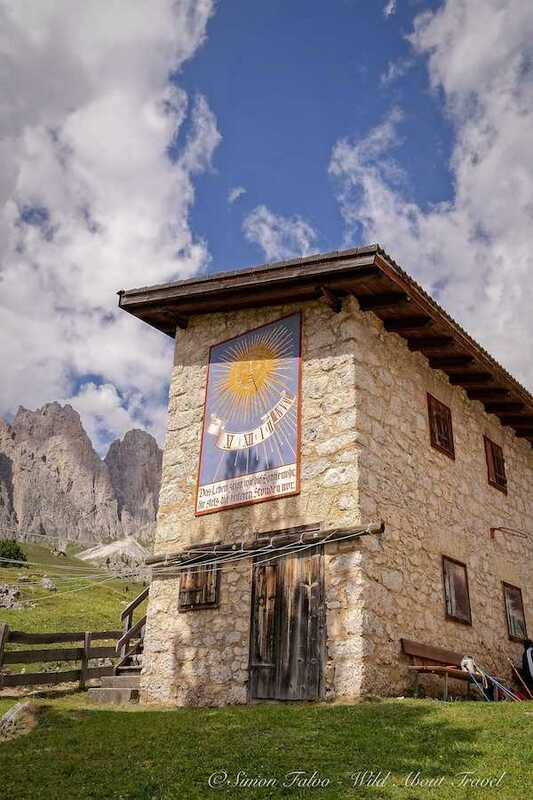 Rather than staying at the Compatsch, the main town on the plateau and the arrival of the cable car, I prefer spending a few days at one of the excellent mountain huts spread all around. 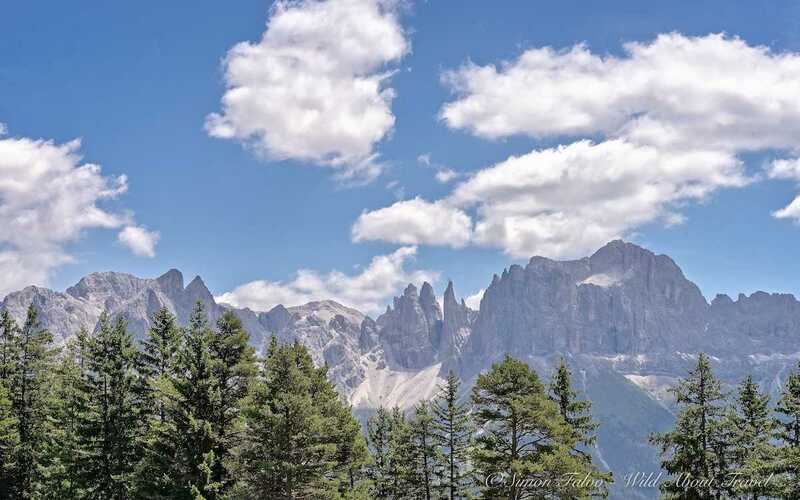 A few years ago, as I was facing a severe burnout, I had a short holiday in the Dolomites, knowing that the unspeakable beauty of nature would heal, if only a little, my soul. 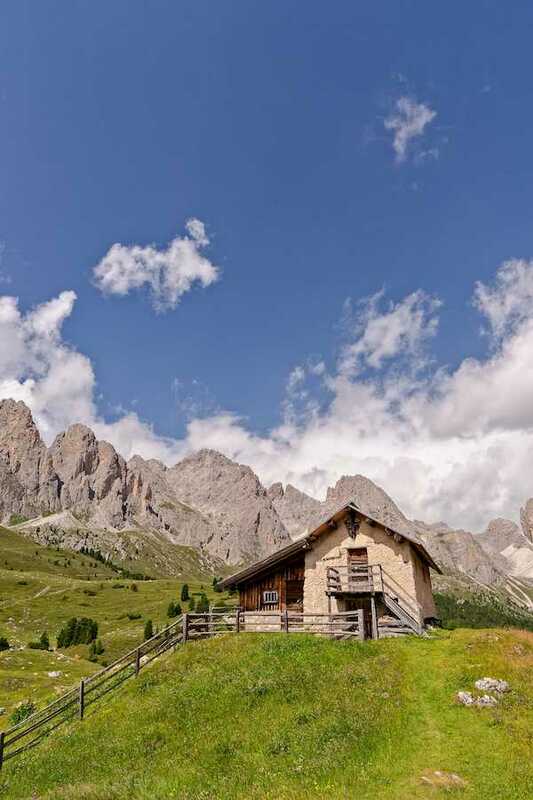 I spent a few days at the lovely Rifugio Zallinger, resting in the cozy room and enjoying the excellent food. I savored the silence and the soothing views of the idyllic landscape. 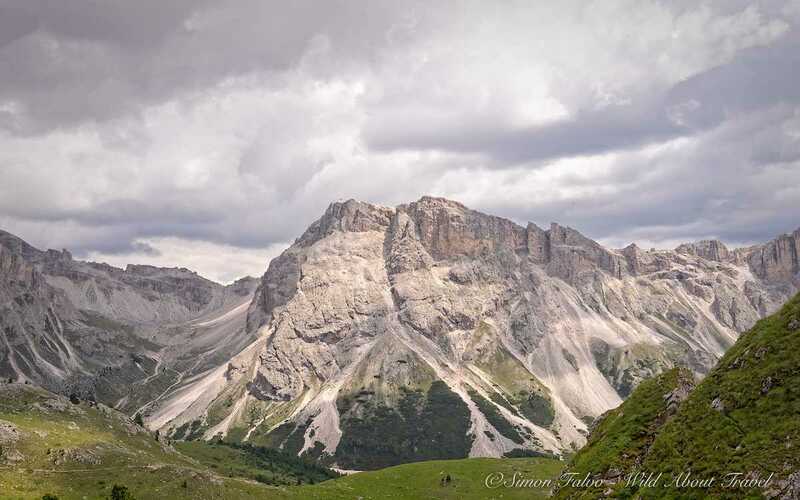 From the Zallinger mountain hut, I went for some memorable hikes, following the trail to the scenic Rifugio Vicenza, the famous circular route around the Sasso Piatto/Plattkofel and Sasso Lungo/Langkofel, and more wonderful hiking paths. 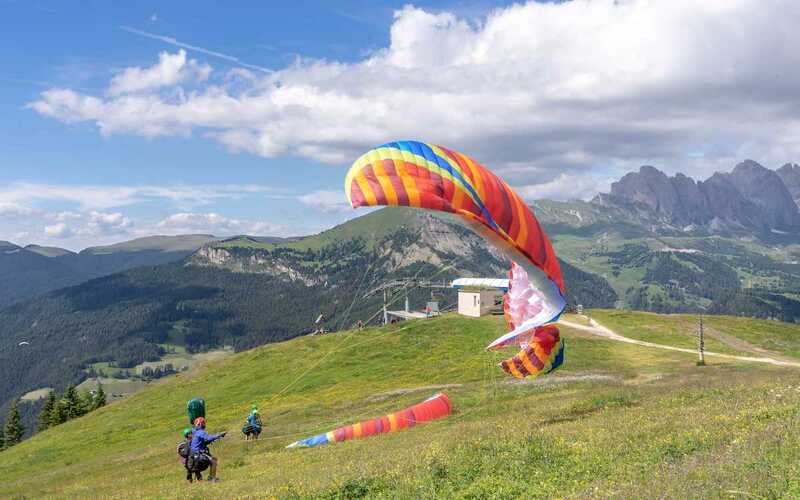 Seiser Alm is also one of the places where I went tandem paragliding, one of the most exhilarating experiences I ever did. Flying gently amid a stunning scenery, tasting the sound of the wind, and feeling like a bird is unique and you should try it at least once in your life. 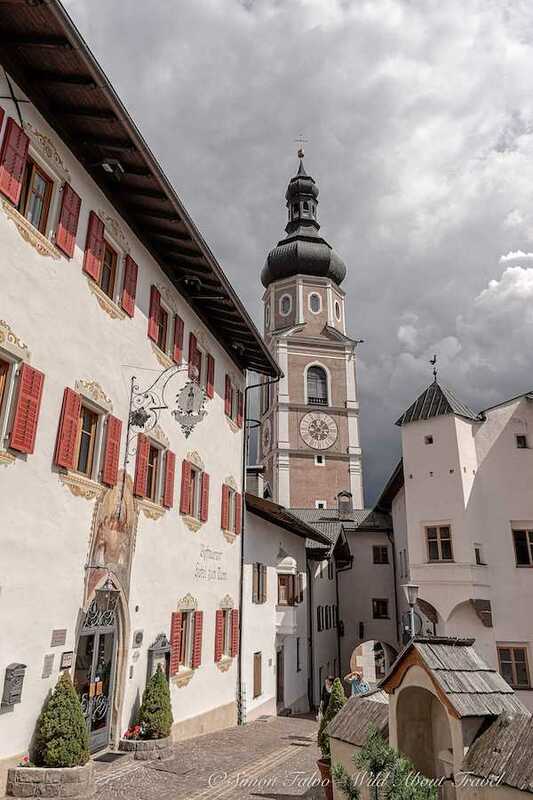 A couple of times, at the beginning or the end of the season, I stayed in the pretty towns of Castelruth (Castelrotto), and Seis am Schlern (Siusi allo Sciliar). 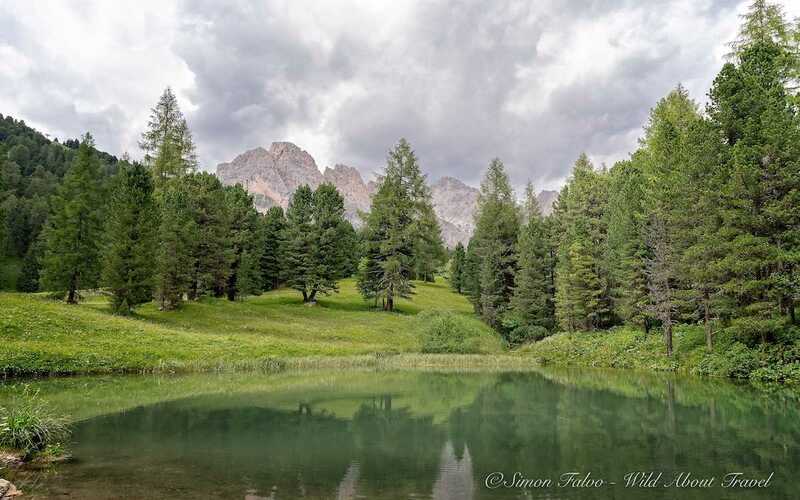 From there, it’s easy to have day hikes at the Sciliar-Catinaccio/Schlern-Rosengarten Nature Reserve and other surrounding areas, like the lovely Fiè allo Sciliar lake, very crowded in high season but otherwise peaceful. It may not be as beautiful as some alpine lakes in Switzerland, but it’s quite pretty. 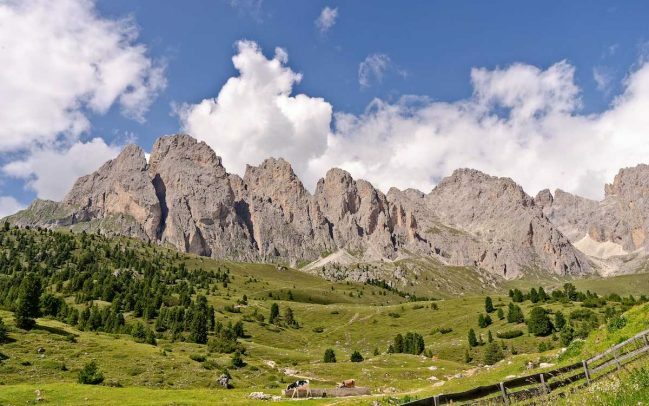 If you are passionate about alpine ski competitions, you certainly know Val Gardena (Gröden, in German), hosting the men downhill race on the famous Saslong slope and the Super G.
Val Gardena, however, is not only a well-known winter ski resort, but it’s also a beautiful area for hiking, climbing, and mountain biking. 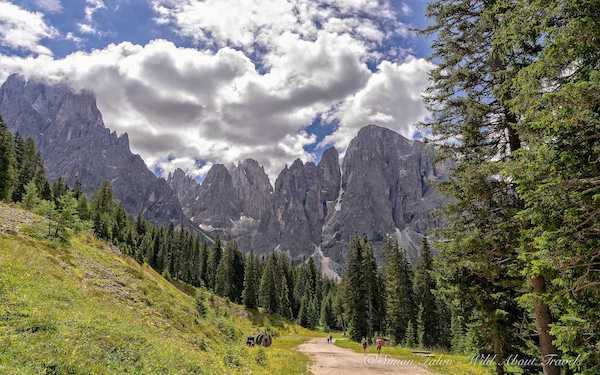 Val Gardena is an alternative access to Seiser Alm, although my heart beats stronger when I hike the Puez Odle Nature Park. The jagged rocky mountains are awe-inspiring. Walking at their feet, I feel elated and a little intimidated. Looking at such gorgeous scenery, thinking at the millions of years it took to create such a perfect landscape, I sense how little and finite I am. This is one of the many reasons I love mountains: if you get into them, they teach you to be humble. In this picture-perfect valley, you can have short and easy excursions or more extended and challenging treks. 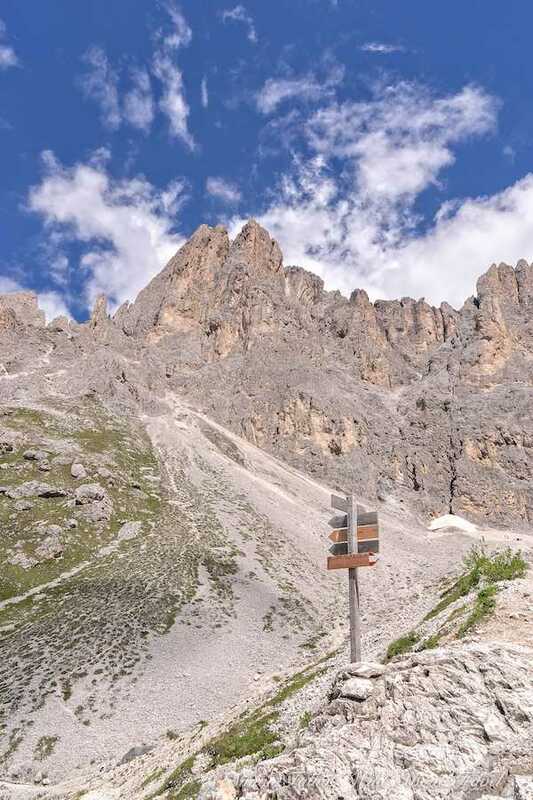 One walk you shouldn’t miss is the hike from Col Raiser to Rifugio Firenze and down to Santa Cristina. As soon as you step out from the cable car, you’ll face the beautiful Odle mountain range. The trail will gently lead you closer and closer to the rocks, and you’ll marvel at the ever-changing shapes of the peaks. Another valley and more stunning views. 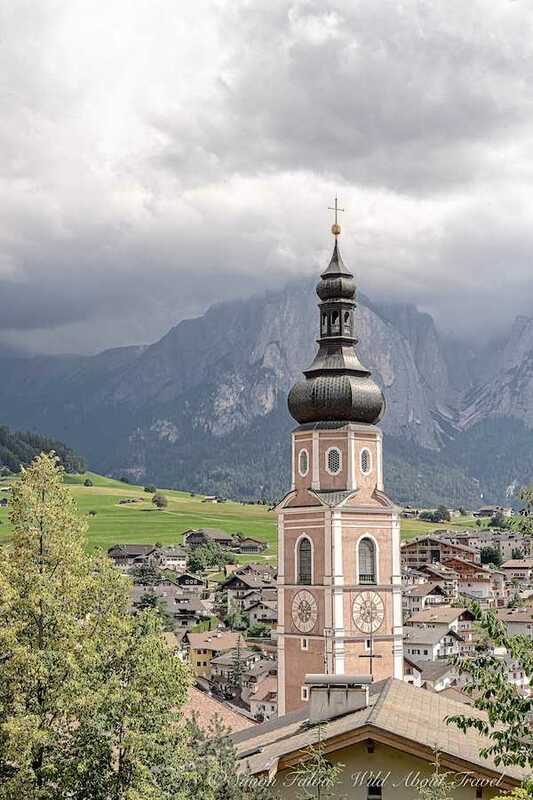 The charming town of Tires overlooks the Rosengarten/Catinaccio mountain range, whose peaks remind me of Milan cathedral‘s spires. 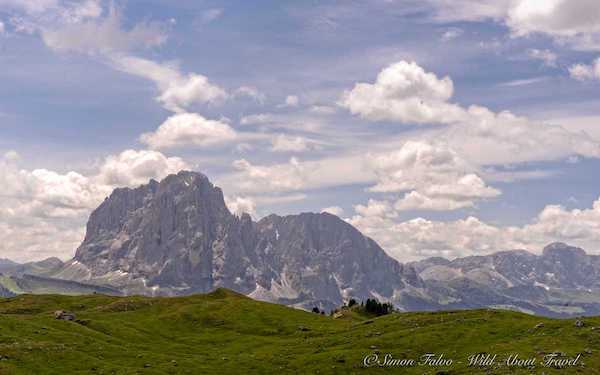 Tires is easy to reach from Bozen/Bolzano and Seiser Alm/Alpe di Siusi for a day walk, but it’s worth spending a night. When the sun starts setting in front of the Rosengarten, you’ll understand why the Dolomites are so unique. The rocks get shaded in yellow, orange, and finally purple, offering spellbinding views. 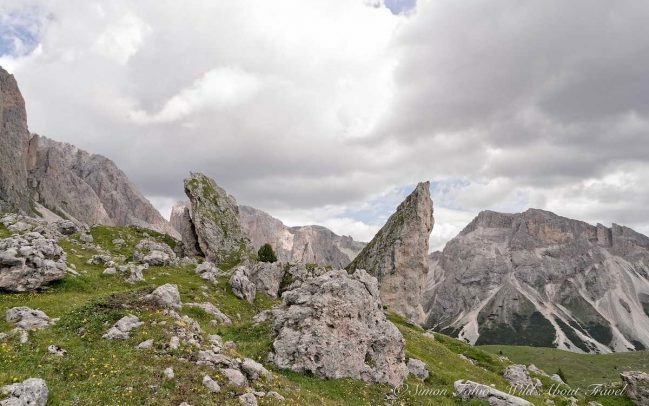 The Schlern-Rosengarten Nature Park is the smallest of the Dolomites, but nonetheless beautiful. 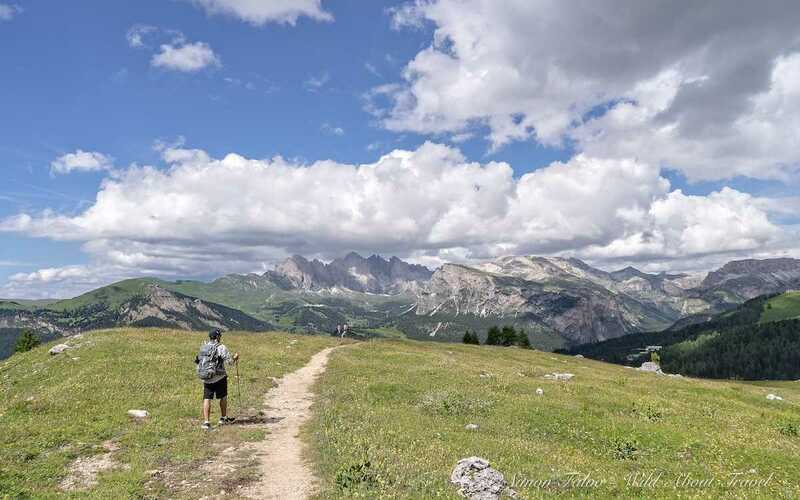 One of the most renowned hikes is the climb up to Rifugio Bergamo (Grasleitenhűtte). After a 2 1/2-3 hours ascent and an elevation gain of over 1000 m (3280 ft) you’ll be rewarded by a jaw-dropping view. If you’re looking for a more relaxed and shorter hike, walk up the trail from Bagni Lavinia Bianca/Weisslahnbad to the Tschafon hűtte. 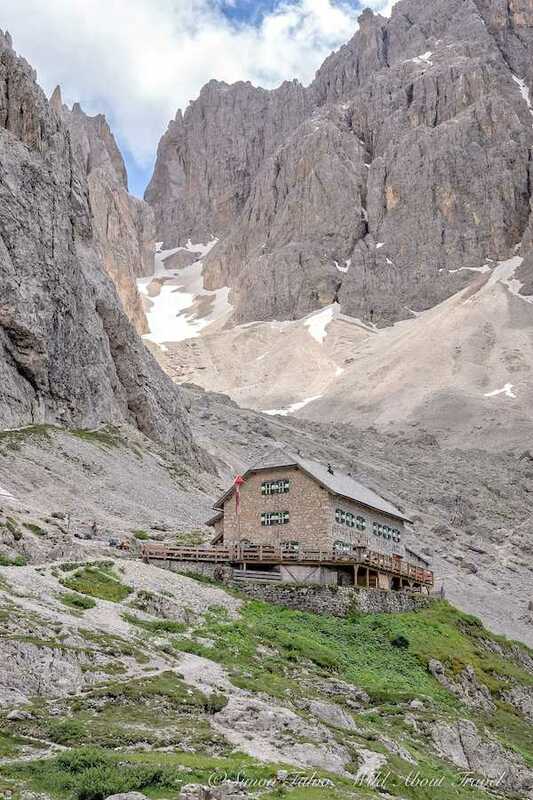 It’s a lovely spot for a picnic, but keep in mind that this mountain hut offers delicious home-made food. Have a go with the nettle omelet: as common a choice as it may sound, it will be the best one in your life. 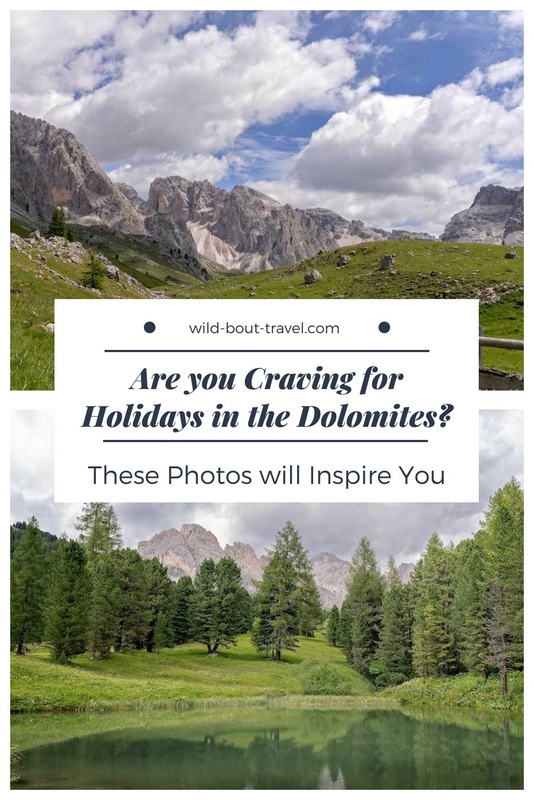 I recently came back from another holiday in the Dolomites, and I’m already thinking of where to go next time. Indeed, I dream of doing a long-distance hike, like the one my friend Laurel of Monkeys and Mountains Adventures organizes. 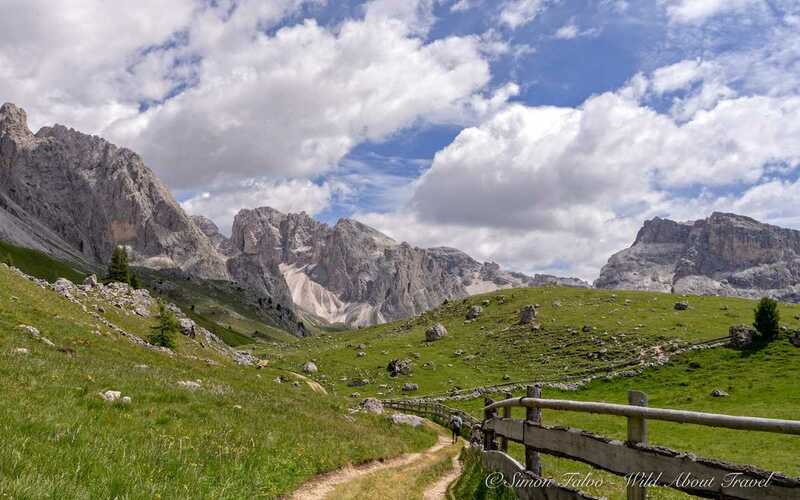 The Dolomites Trek from San Candido/Innichen to Val Gardena, which goes through the Tre Cime Natural Park and the Fanes-Senes-Braies Natural Park, two areas I haven’t explored yet, must be pure bliss. Wow. Such dramatic photos. I’ve never been but have always wanted to. Do you have a favorite place to go? With limited time (short vacations), I would want to try to visit your top pick. It’s hard to pick a place because every valley is gorgeous in its own way. 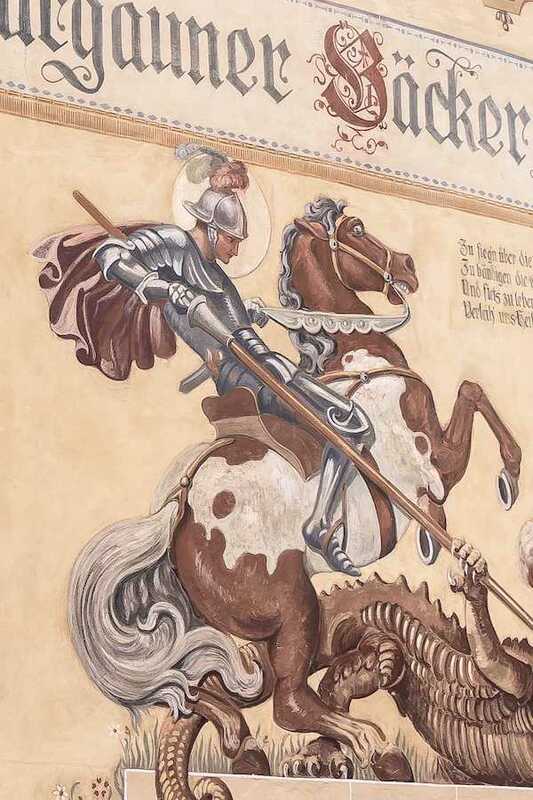 However, if I had to choose only one, I’d probably go to Ortisei and the Odle.